Education and employability are major features of the ‘Thriving Communities’ agenda at RSA, one of the UK’s leading insurers. Youth unemployment and the need to better prepare students for the job market constitute both a moral concern and a material issue to the business. With this context in mind we developed ‘Ready Set Achieve’ – an employability programme for secondary schools, with workshops delivered for students by small teams of RSA employees. The programme is both tailored and scalable – tailored in that teams can shape sessions around the particular employability needs of students; and scalable in that people from RSA offices all over the country can use a programme handbook – written by Three Hands – to run their own sessions in local schools. The handbook contains pre-prepared session material on topics including interviewing and CVs, soft skills and behaviours – such as communications and networking – and insight into insurance, as well as practical guidance on how to go about setting up a local project. In some locations sessions are geared around the staff recruitment needs of the local RSA office, creating a tangible link between community engagement and business needs. 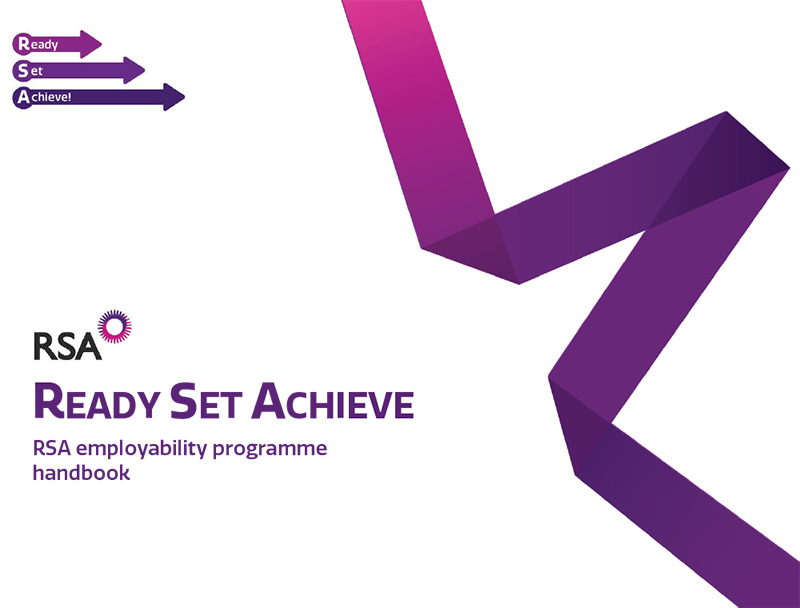 The future of ‘Ready Set Achieve’ will involve working not only with schools, but also with charities helping adults back to work – some of whom will then be well prepared for job opportunities at RSA.